Dirt track racing returns to Chicagoland in just 11 weeks! Join the Dirt Oval @ Route 66 text alerts and you could WIN a 2017 Tournament of Destruction Season Pass! To enter, text the word “DIRT” to 33222 and you will be qualified to win. Dirt track racing is coming back to the Chicagoland area! Dirt track racing is coming back to the Chicagoland area and the Law Enforcement Torch Run for Special Olympics is going to be a part of it. In Illinois, police officers participate in all kind of events to raise money for the athletes of Special Olympics, including Polar Plunges, Plane Pulls, Tip-A Cop’s, and so much more. Kids Halloween Costume Contest Registration! 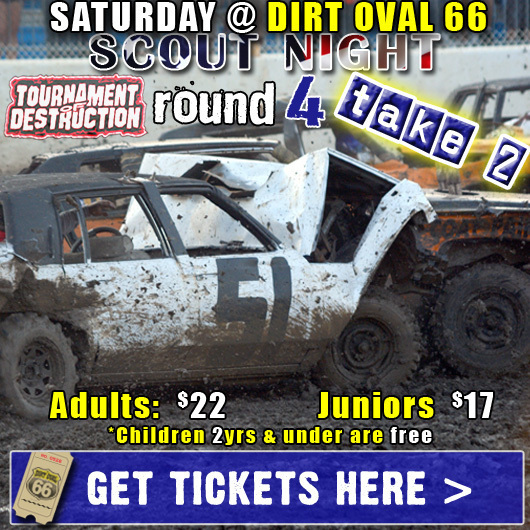 Double-Dose of Destruction @ Dirt Oval 66! Let’s try this again! The rain is gone; it’s time to RACE! Last weekend’s weather forced rescheduling Round 4 to this Saturday, September 3rd. 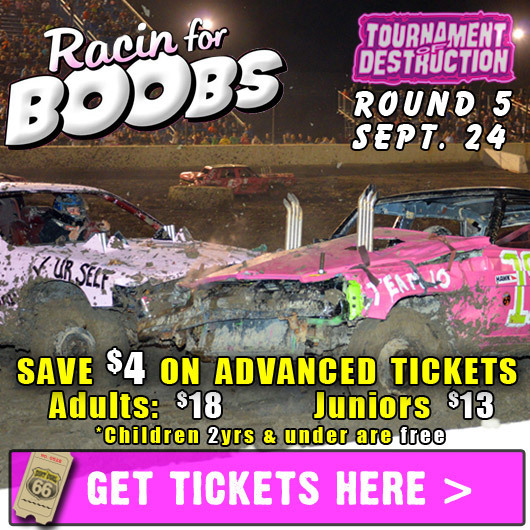 On the plus side, it’s a double-header of destruction @ The Dirt Oval! Tournament of Destruction on Saturday then Crash Fest on Sunday! Tickets are available for BOTH events! Monster Mayhem Saturday, August 6th! 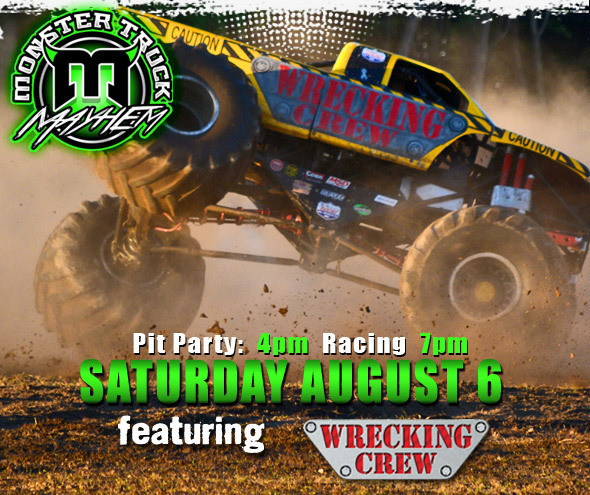 Monster Trucks smash into The Dirt Oval at Route 66 Raceway this Saturday, August 6th for the 3rd annual Monster Mayhem!